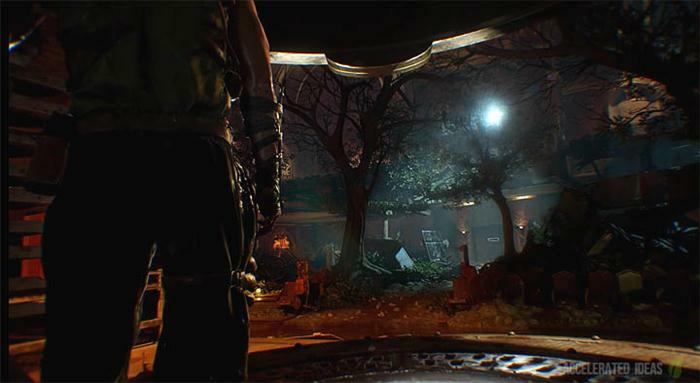 The first trailer for Revelations has been published to the Treyarch YouTube channel, giving us a glimpse of the final zombies map coming in DLC 4 for Black Ops 3. By the look of things this will definitely be the end so let's do one final breakdown of the trailer to get hyped for what's coming. There has been an avalanche of teasers today and I'll update this post with more information as and when appropriate - I'm sure there's bound to be more images and an additional trailer soon. Takeo: Unimaginable evil manifests all around us. So much of the past has returned, but what of our future. Takeo: We put our faith in the hands of a madman. Truly we have reaped what we have sown. Richtofen: My god...what have I done!? Stop it Edward, breath…..MAXIS!!! Dempsey: We'll fight side by side, back to back….even if it's for the last time! Right from the start of the trailer, there's strong evidence that this final Revelations map will contain elements from past maps mixed together. It's almost as if the universe is blending together to form something new. Not only do we have Takeo say "So much of the past has returned" but we see individual flashbacks from past maps. Just take a look at the image above - it's from the MPD room in Der Eisendrache but somethings certainly taken hold. We know from Monty that we need to make things right for everyone, possibly referring to us revisiting older maps to change the course of time for the better. The "crazy place" shown at 0:29 is a strong signal leading back to the Origins map in Black Ops 2. This crazy place is the link to agartha, Samantha and the origins of the staffs. 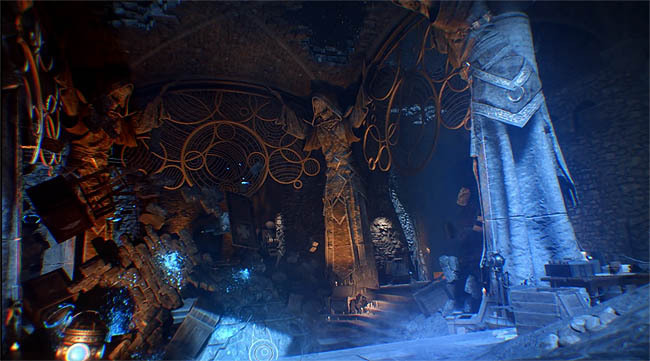 For those who played Black Ops 2 zombies, you'll know that the crazy place was a hidden area in Origins that players teleported to by using the blue portals. It contained the knight zombies, gave players the opportunity to upgrade their staff and was the pre-emptive ending to the Easter Egg that led to the children playing in the house. I suspect this segment is from the intro cutscene and this is the "Aether". There appears to be steps leading into this orb and also a suspicious looking object inside. I can't quite tell whats inside but I imagine that if the maps are bleeding into one then there needs to be some way to travel between them. It's doubtful that all the maps are accessible from a single area but rather as individual flashbacks that players travel to through the orb. The Primis statues first appeared in the Origins map, at the bottom of the 115 dig site where players picked up their staffs. The black disc and gramophone were used to play music and open the lower section of the site, whilst coloured discs were required to build and pick up either the ice, fire, wind or electric staff. "AFTER THE GREAT BATTLE, THEY STOOD UPON THE MOUND. THEIR LIGHT SHONE DOWN AND CLEANSED ALL THE SICKNESS FOR AS FAR AS THE EYE COULD SEE. THEY ARE THE FIRST; THEY ARE THE LAST... VISIONS OF FRACTURED WORLDS AND STRANGE ROOMS HAUNTED OUR DREAMS"
With the statues returning in Revelations it's highly probable that the Origin's staffs will make a return, one last time. Not only does this trailer have exactly the same intro text as the Origins trailer from 2013 but it also has flashbacks to the same images used in that trailer. Feature wise this is nothing major but it does reinforce the fact that Origins and Revelations are so tightly connected. 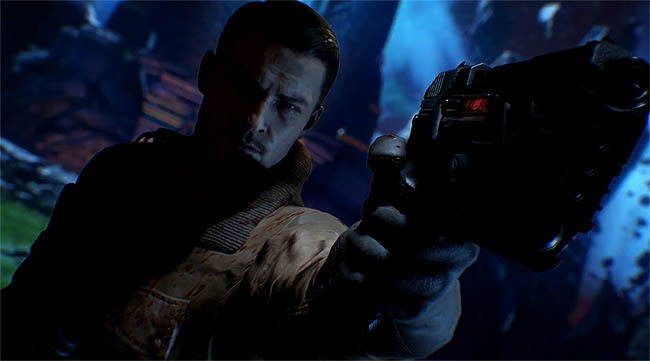 Watch the official Origins trailer here and get a sense of deja vu. Although Maxis has been a part of the zombies story for quite some time this is actually the first time we've seen him in the flesh. Sad that his first appearance is to totally screw things up by releasing the Shadow Man from the Summoning Key but awesome that he makes an appearance none the less. To clear up some confusion, it does appear that Maxis' body is overtaken by the Shadow Man, after-all Monty explains that Maxis doesn't have a soul. Upon taking his body, the Shadow Man is able to call in a plague of Apothicons that rip the "prefect world" apart. The Apothicons shown in the trailer are some dam monstrous beasts, huge by the look of things. Monty warns the characters about their potential: "we're talking about the Apothicons. The most powerful and evil entities in all the existences that ever existed and now they're in our perfect world". Rewinding back to the earlier teaser trailer for a minute, we caught a glimpse of the tail of one of these beasts, for the briefest of moments. What first appeared to be the tail of a dragon could actually turn out to be an Apothicon on the map! 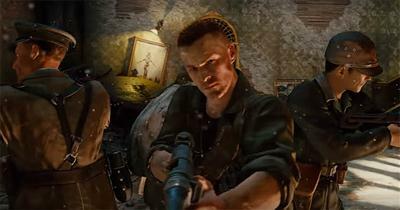 At roughly 0:30 we get to see the children playing in the house; there's Samantha, Eddie, Dempsey, Nikolai and Takeo. What's special about this scene is that there's a strong hint to the Revelations map layout - it's been etched onto the floor using chalk. Interesting that the thumbnail for the video is one of the most revealing aspects for how the new map will look in-game. We can clearly see that the map layout matches that which is shown in the prologue video. There is the house, the destroyed church and a clear shot of the Pack-a-Punch machine lying out in the open. Up in the sky we have a split horizon, half blue and half red. A giant Apothicon is beaming down from above and will no doubt be one of the maps hazards, much like the dragons in Gorod Krovi. There is also a mystery box in the distance but it's out of reach on one of the floating "islands".